We invite you to enjoy this wonderful home on your next trip to Orlando. Absolutely perfect for multi-family groups, or golf groups, this property features all the comforts of home and more! Book your vacation now at this beautiful home with pool and spa located in the gorgeous Solaora Resort. 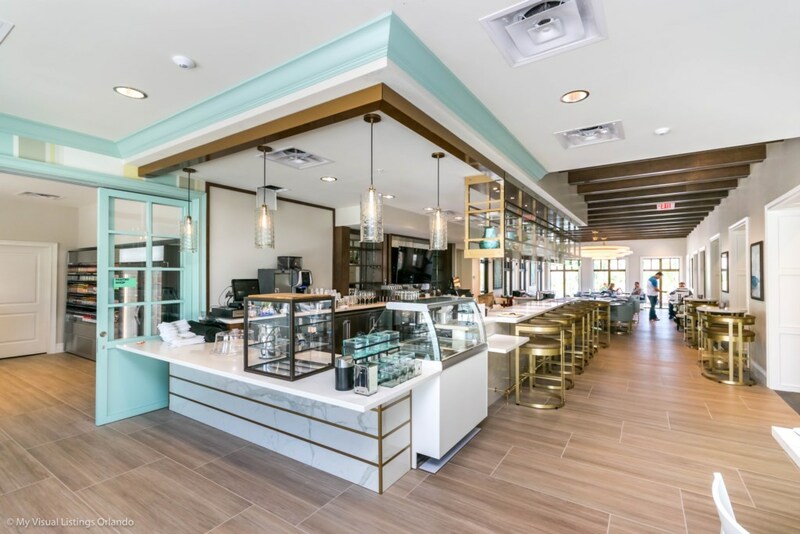 Plus as our guest you get to enjoy all the amenities of the resort such as the lazy river, splash pool for the kids, tennis courts, fully equipped exercise room, free play arcade games, and sundry shop & snack bar. You will feel immediately relaxed as you enter this 6 bedroom, 5 bathroom beautiful home which sleeps up to 12 comfortably. 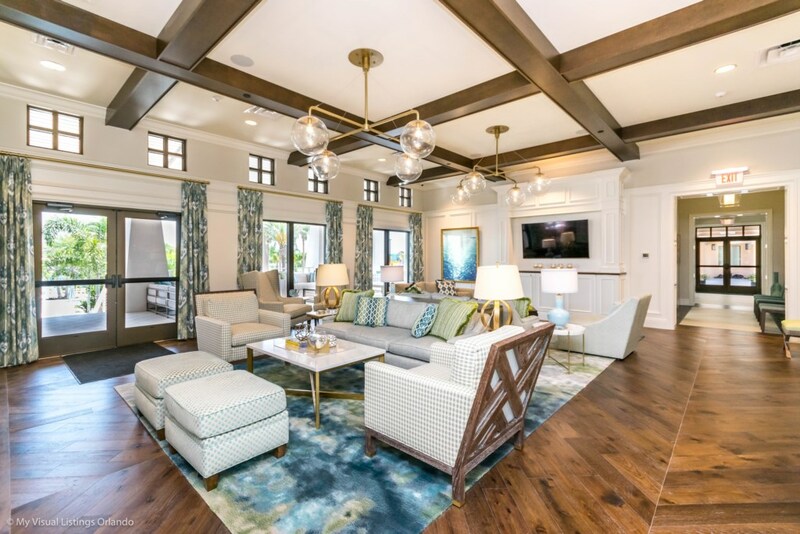 The living area offers plenty of space for all guests to spread out. For family get togethers the dining area is ideal to share a meal around the elegant dining table or have a quick meal at the kitchen breakfast bar. 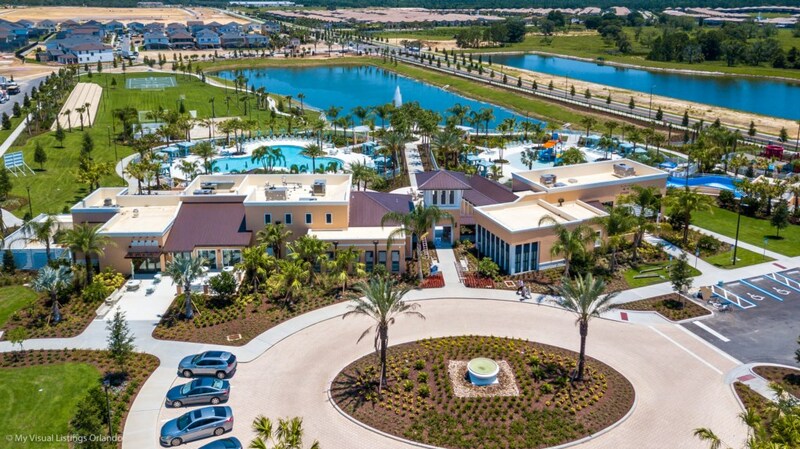 Solara is one of Kissimmee’s newest and most luxurious resort community. An extraordinary 5,000 sq.ft. 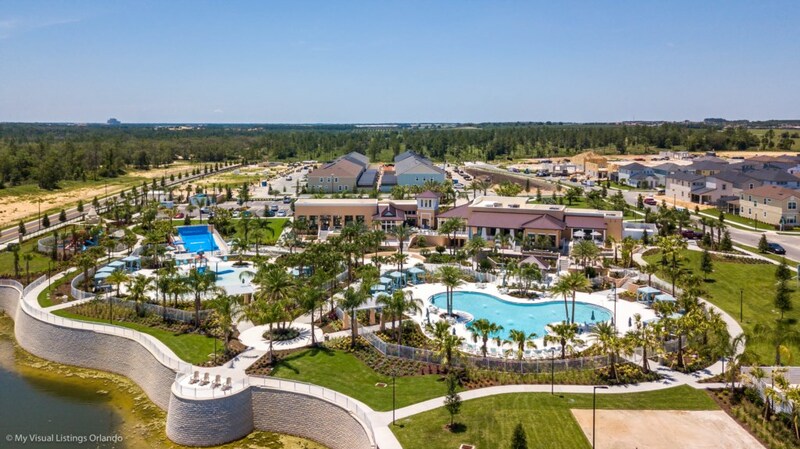 clubhouse is the centerpiece, as well as a huge resort-style pool, complete with cabanas, a water slide, and flow rider – perfect for families to enjoy for hours! When it’s time for a drink or a bite to eat, the tiki bar serves both your favorite libation, along with a tempting menu for poolside dining. With all the latest in cardio and strength building equipment, the fitness center will keep you in shape while on vacation. For some friendly competition, there are sand volleyball courts and a multi-purpose sports courts. 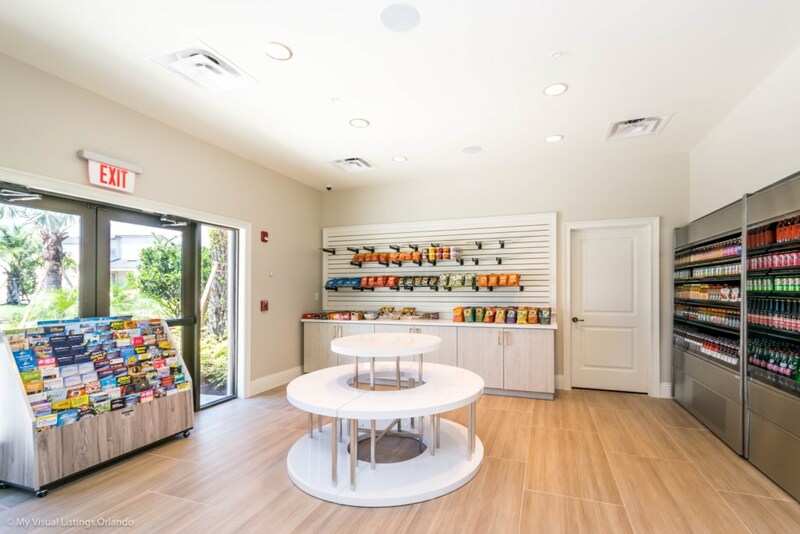 In addition, a sundry shop is located in the clubhouse, along with a video arcade. Solara is a gated community, with an attendant, to ensure the safety for all our visiting guests.